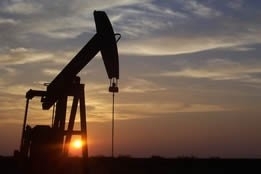 Crude prices fell again on the start of the third week of the New Year, with fears of a global economic slowdown appearing to take root in the hearts and minds of traders - even though a prominent government official in Saudi Arabia insisted that the economy and demand for oil is just fine. Brent on Monday fell 61 cents to $59.87 per barrel, while West Texas Intermediate fell 36 cents to $51.23 per barrel, both losses said to be a reaction to news from China that its exports fell by the most in two years in December while imports contracted. Stephen Innes, head of trading, Asia Pacific, for Oanda, stated in a report, "Oil prices are getting weighted down by the prospects of weaker economic growth in China; this data drives home just how negative of an impact trade war is having on the Chinese and perhaps global economy." Expressing similar concerns was Mohammed Barkindo, secretary general for the Organization of the Petroleum Exporting Countries (OPEC): despite the improved sentiment across Asian markets as a result of three days of trade talks between U.S. president Donald Trump administration officials and their Chinese counterparts in Beijing, the normally upbeat Barkindo worried that "Any measures that may impact or constrain trade may likely impact on growth and by extension on demand for energy; at the moment, outside the U.S., China and India remain the brightest spots in terms of demand for energy - so you can imagine our concern of the lingering negotiations." But bucking conventional analytical wisdom on Monday was Khalid al-Falih, energy minister for Saudi Arabia, who told reporters in Abu Dhabi that he is not worried about a global slowdown hurting oil demand: "The global economy is strong enough, I'm not too concerned; if a slowdown happens, it will be mild, shallow and short." Al-Falih has persistently resisted falling prey to the sentiment that has predominantly driven crude prices of late, and while he may be accused of spouting rhetoric, Reuters calculations of customs data on Monday showed that despite widespread concern about the economic outlook, there is little sign that Chinese oil demand has weakened yet - in fact, China's crude imports in December surged nearly 30 percent from a year earlier. While any negative news from China or other oil-consuming countries is bound to negatively impact crude price in the foreseeable future, Bob Yawger, director of futures at Mizuho, attempted to summarize the current mindset of experts by stating on Monday that "There's a close proximity to $50 [for WTI], [but] there's a significant amount of new length in the market in crude oil and interest in keeping the market above that number."